The merry month of May is when blossom season really gets going. 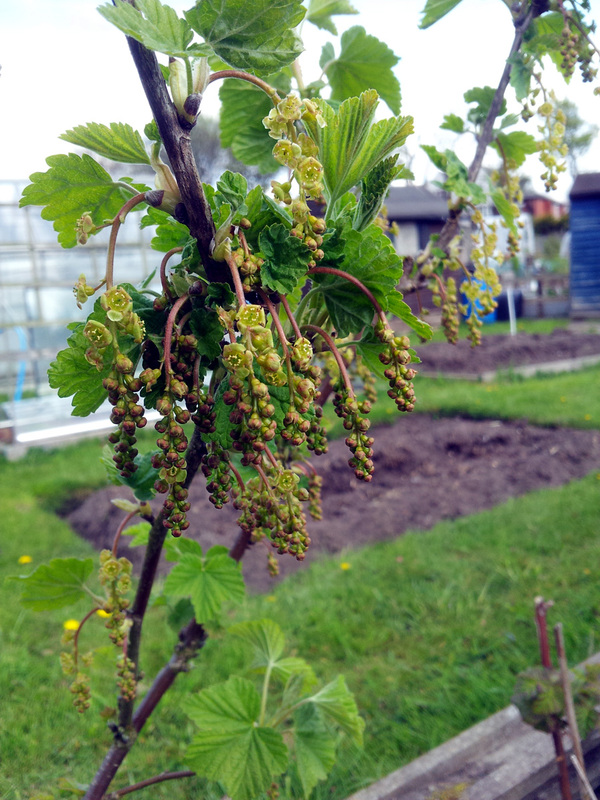 Whilst the big, showy masses of apple, cherry and early strawberry flowers are grabbing the bulk of the attention and hogging the photo opps, I thought I’d take a closer look at what’s going on in the soft fruit patch down at Plot #59. 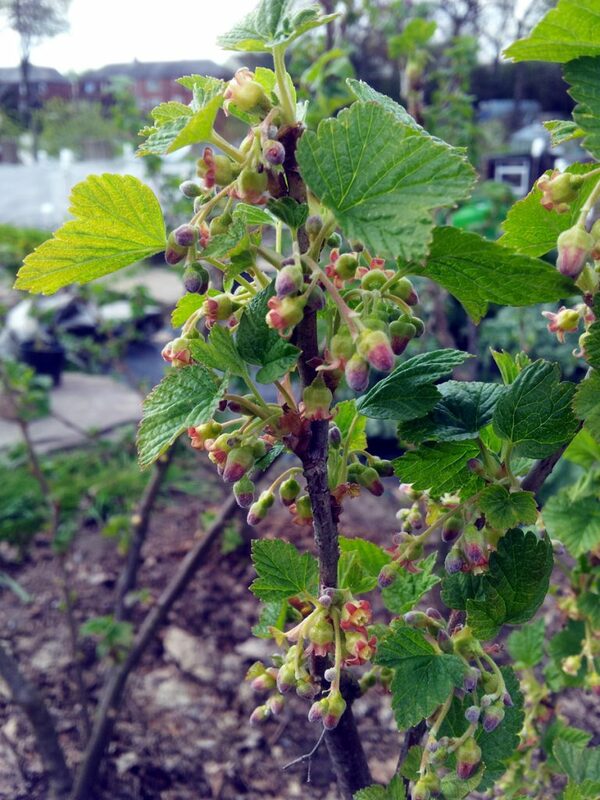 What I found was our selection of berry and currant bushes quietly doing their subtle, under-stated thing: putting out a lovely array of tiny, delicate bee-lures that don’t scream “pollinate me!” anywhere near as loudly, but carry just as much productive promise of bumper harvests to come. Our gooseberry bushes are just coming into their full maturity – a good harvest ahead, hopefully. 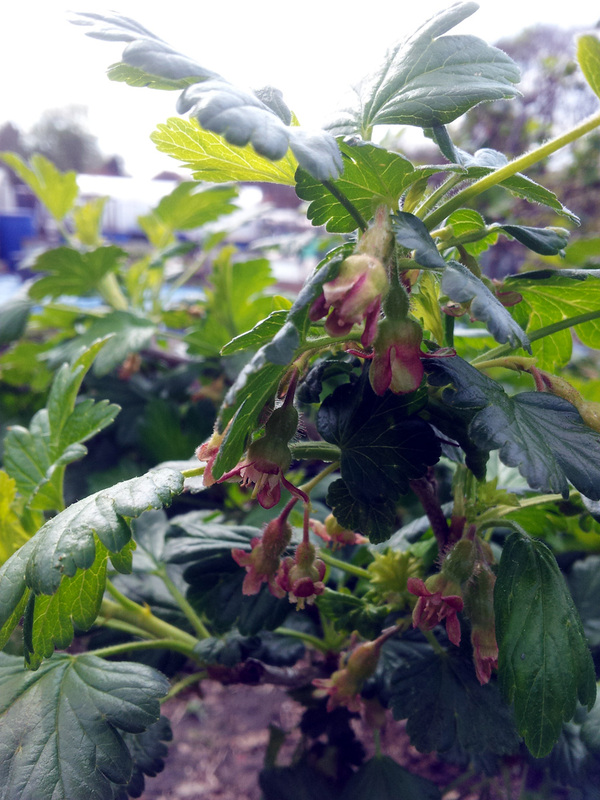 Anyone know a good recipe for Cumberland sauce so we can make best use of our redcurrants? 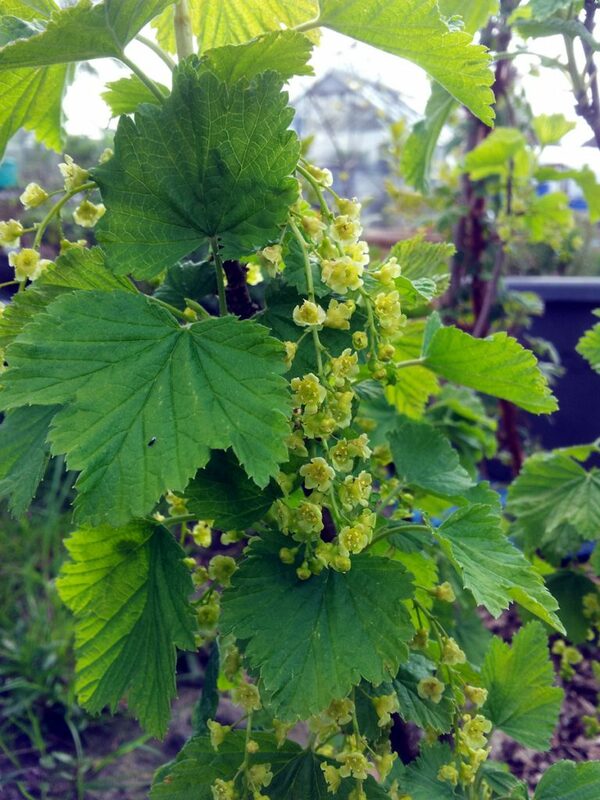 We’re looking forward to sampling a few whitecurrants, all being well. 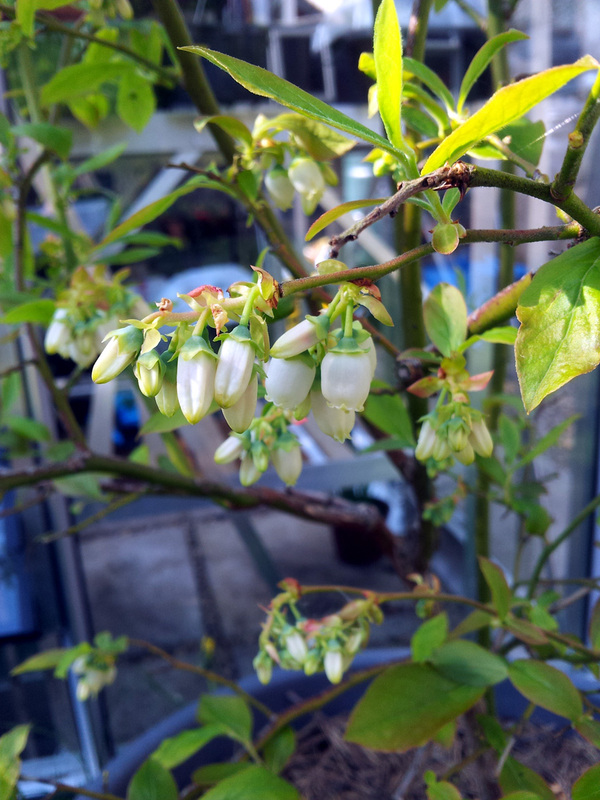 Meanwhile, back home, our potted blueberries are blooming marvellously. We make our redcurrants into compote which we freeze. We use it throughout the year on porridge and yoghurt. It also mixes with other fruit in various desserts. Sounds delicious. I expect that’s how most of ours will end up, if we don’t just scoff them all as soon as they’re ripe. I have a Japanese wineberry and love it. It’s kind of like a sweet cross between a raspberry and blackberry. And really easy to look after too. Cheers Matt, that sounds great. I’m looking forward to it fruiting this year, with any luck. It might still be in getting-established mode though, I’ll have to wait and see.